The race for Best Rap Song at the 61st Grammy Awards was neck and neck and neck and neck and neck. 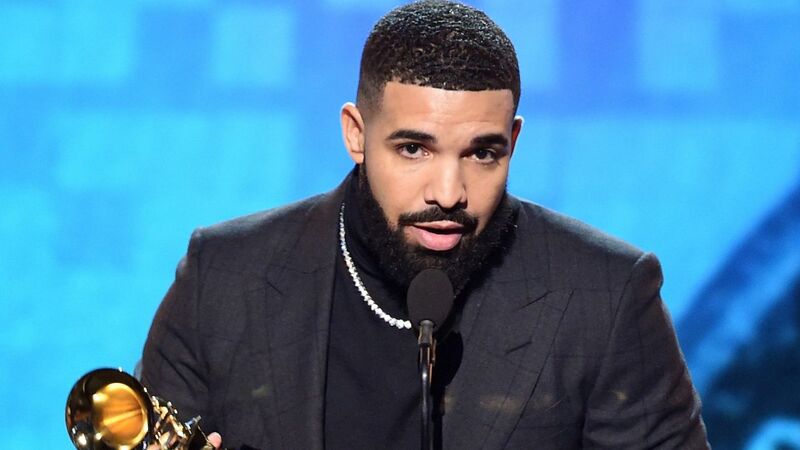 It was tough, but Drake won the award for “God’s Plan,” beating out “King’s Dead” by Jay Rock, Kendrick Lamar, Future, and James Blake; “Lucky You” by Eminem featuring Joyner Lucas; “Sicko Mode” by Travis Scott, Drake (again), and Swae Lee; and “Win” by Jay Rock and Kendrick Lamar. In his acceptance speech, the clearly startled Toronto rapper let loose on an inspirational tirade that let everyone know that, regardless of who received the trophy, all of the nominees were winners. Check out the speech below. Drake’s speech went in-depth on the politics of winning awards in the rap space. “We play in an opinion-based sport, not a factually based sport, so it’s not like the NBA where at the end of the year you are holding a trophy because you made the right decisions or won the game,” he said. He then went on a surprising tangent, decrying the importance of the awards. “You’ve already won if you have people who are singing your songs word for word, if you are a hero in your hometown, if there are people who have regular jobs coming out in the rain in the snow spending their hard-earned money to buy tickets to come to your shows, you don’t need this, I promise you – you’ve already won,” he said. Drake’s win comes on the back of six other nominations this year. He would know a thing or two about both winning and being passed up on these awards; over the course of his entire career, he’s been nominated for 42 Grammys and only won three. If one of the highest-selling musicians of today gets passed over for accolades and still makes magic happen, maybe there are some nuggets of truth to his words tonight.